Liberal Prime Minister Justin Trudeau has delivered on his promise and succeeded in securing an historic national climate deal with the provinces. Under the new pan-Canadian agreement each province and territory will advance their own climate action plan. The wide-ranging accord includes carbon pricing, eliminating coal-fired power, lowering carbon content of motor fuels. The agreement will see more investments in renewable energy, electricity infrastructure, clean-technology and energy efficiency. 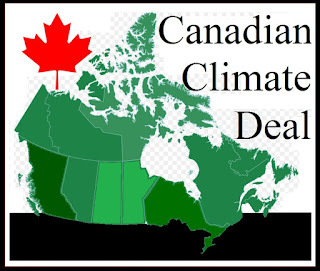 The deal is a creative mix of carbon tax and cap-and-trade with BC and Alberta using the former and Ontario and Quebec employing the latter. While cap-and-trade is less expensive under the deal companies must invest outside of Canada (California) to reduce emissions. "I am very happy to share with you the results of many months of hard work, the pan-Canadian framework on clean growth and climate change," Mr. Trudeau was quoted as saying in the Globe and Mail. "An ambitious and achievable framework to address climate change and grow the clean economy for our children and our grandchildren." The carbon reduction deal was signed despite opposition from Saskatchewan and Manitoba. The two dissenting premiers Saskatchewan Premier Brad Wall and Manitoba’s Brian Pallister are the only hold-outs, however there appears to be flexibility in Pallister's position. There was also some last minute drama from British Columbia (BC) who has led carbon pricing in Canada. BC already has the highest carbon tax in the country ($30 per ton) so BC Premier Christy Clark wanted, and was given assurances that there would eventually be equal pricing in all provinces. Although Saskatchewan on track to get half its energy from renewables, Brad Wall the premier of that province is averse to carbon pricing, arguing it will harm his province’s energy-intensive industries (oil and gas, agriculture and mining). Wall also argued that it will undermine Canada’s economic competitiveness. Wall pointed to the changing political landscape in the US with the election of Donald Trump who has promised to kill climate action and support fossil fuels. "I think all Canadians know that Canadian climate policy will be set by Canadians, not by whomever happens to the president of the United States," Mr Trudeau countered. The Prime Minister argued that the deal will create jobs and grow the economy by incentivizing clean-tech investment in the country. US Vice President Joe Biden assured Trudeau and the premiers that the election of Donald Trump will not kill climate action. 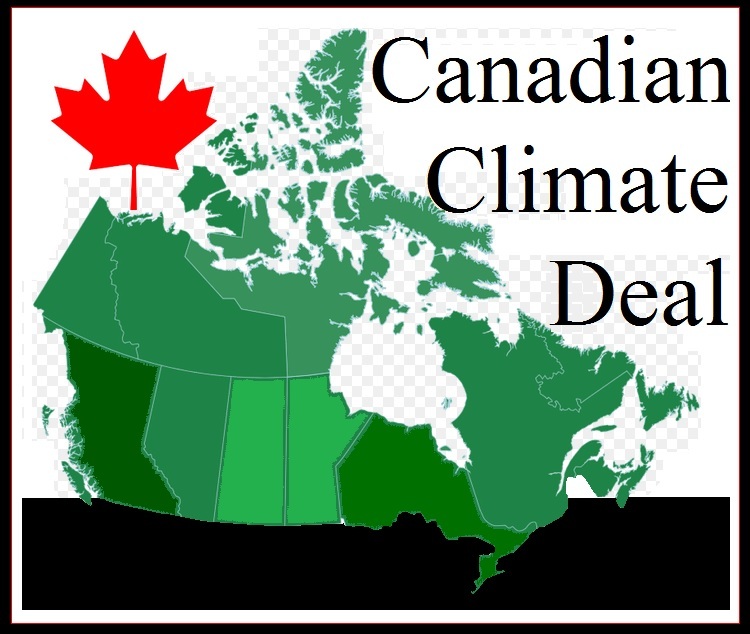 Given the nation's reliance on fossil fuels Ottawa will have to pay billions for carbon credits to meet Canada's climate targets (GHG emissions reductions of 30 percent below 2005 levels by 2030). Canada's primary fossil fuel producing province is on-board having recently launched a climate plan of their own. Alberta Premier Rachel Notley struck a pragmatic note when she said, "Listen, climate change is real and in Alberta, we need to take action. We cannot delay on it." The Alberta Premier is prepared to pay the price because of the net gains afforded by ramping up fossil fuel exports with the recent addition of two oil pipelines. The dualism in Canadian energy policy, namely increasing fossil fuel production while combating climate change, has been the subject of widespread condemnation by environmentalists.